Peab has been commissioned to build 163 rental apartments in Enköping. The customer is Enköpings Hyresbostäder and the contract is worth SEK 210 million. 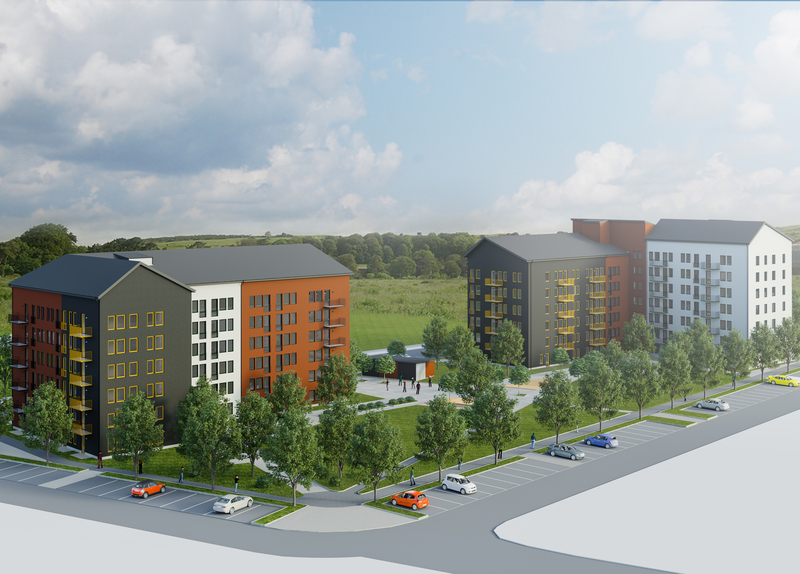 With a good location for commuters in Enköping and within walking distance from the Travel Center, Peab will build two apartment buildings with a total of 163 apartments in mixed sizes from one to three rooms and a kitchen. The total living area will be 7,423 m2. The apartment buildings will have a clear environmental profile and will be Svanen eco-labeled. There will be solar panels on the roof and the goal is to achieve a maximum energy consumption per apartment of 45 kWh/m2 per year for heating, warm water and electricity. The project is a turnkey contract in partnering and planning has already begun in a previous suborder. Construction start is planned for 1 June, 2019 and the first renters are expected to move in January 2022.